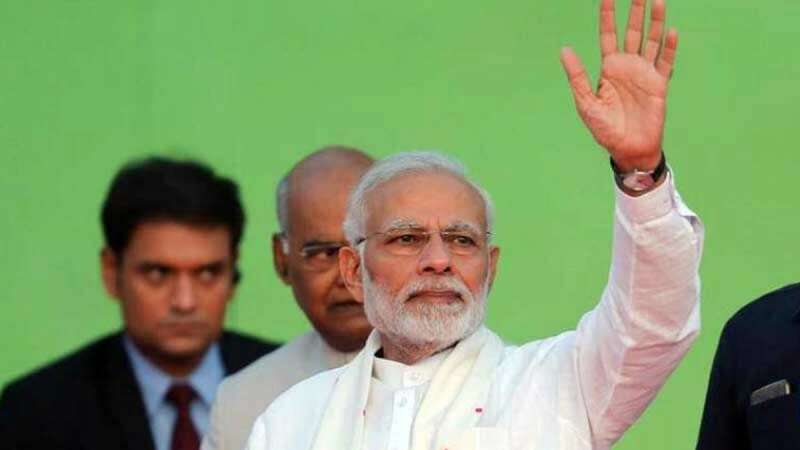 New Delhi : Prime Minister Narendra Modi will contest the upcoming Lok Sabha Elections from Varanasi. The decision was taken during Bharatiya Janata Party (BJP) parliamentary board meeting at the New Delhi office on Friday, said a report. An official announcement is yet to be made by the party. Senior BJP leaders including PM Narendra Modi, Amit Shah, Arun Jaitley, Rajnath Singh, Sushma Swaraj, Venkaiah Naidu and Shivraj Singh were present in the meeting to discuss strategy for upcoming Lok Sabha Polls 2019. In the last elections, PM Narendra Modi has contested from Uttar Pradesh's Varanasi and his home state Gujarat's Vadodara; he had won both of them with a landslide margin. In 2014, the Prime Minister won Vadodara by a margin of 5,70,128 votes and secured 8,45,464 votes of the total 11.63 lakh votes polled in the constituency. After the meeting, BJP general secretary announced a tie-up with ally All Jharkhand Students Union (AJSU) and announced the seat-sharing formula. In Jharkhand, the BJP will contest from 13 Lok Sabha seats leaving one seat for AJSU. Election Commission is likely to make an announcement on upcoming dates of Lok Sabha polls on Saturday. It is expected that the polls are likely to be spread over 7-8 phases in April-May, as per the news agency PTI.